Responding to a public health emergency requires an understanding of the practice of public administration as well as the science of health services. Organizations like the National Association of City and County Health Officials (NACCHO) recognize this and provide incentives for local public health (LHD) agencies to better develop their preparedness capability. NACCHO’s Project Public Health Ready (PPHR) is a criteria-based training and recognition program that recognizes LHD’s who meet the highest standards in all-hazards preparedness. Some of the topic areas covered by PPHR criteria are legal and administrative preparedness, community preparedness and community recovery. Much attention has rightly been given to the need to properly budget for public health emergencies, but that money can only be useful if it can efficiently be transferred to where it is needed to implement response plans. NACCHO staff members identified the ability to move funds from the federal to the local level as a key matter of conversation in the preparedness community. One mechanism which can help responses go more smoothly is prearranged memoranda of understanding and mutual aid agreements with community partners. However, these agreements are available only if public health personnel are incorporated into planning processes. Local health departments can also take advantage of cooperative purchasing arrangements such as piggy-backing, which allow them to share in the conditions of the procurement contract of another entity to facilitate efficient purchasing of necessary equipment. This also requires interagency coordination prior to a response. Response plans are most effective if they have buy-in from the community, including those populations historically viewed as marginalized. Buy-in is often gained by actively including representatives of diverse groups in the planning process. In Florida’s Santa Rosa county, diverse stakeholders are provided seats at the table for planning and preparedness, including representatives of mental health providers and faith-based groups. Wayne North, Florida’s director of the Division of Emergency Preparedness and Community Support, emphasized the importance of on-going conversations between public health planners and those actively providing care. Ellen Carlin, co-director of the Blue Ribbon Study Panel for Biodefense, identified better coordination of agencies at the local, state and federal level as a key recommendation of that organization. Biosurveillance, in particular, Carlin noted, required collaborative effort. Programs including the Public Health Emergency Preparedness (PHEP) grant, the Medical Countermeasures Operational Readiness Review (ORR), as well as the Public Health Accreditation Board (PHAB) review, all have active community involvement as a condition of receiving grant funding and/or accreditation. Particular effort should be made to reach a community’s most vulnerable members. Michelle Hill, a public health preparedness planner for DOH-Santa Rosa described how, as mandated by Florida law, her office completes a survey of their vulnerable populations each year, with that information then used to determine needs and how best to address them. The operations plan for Virginia’s Fairfax County outlines the use of a medical needs registry to track those who will need special help reaching a shelter. Both Santa Rosa and Fairfax County provide special needs shelters in the event of an emergency. One approach that has been instituted in Santa Rosa is closed points of countermeasure dispensing for those individuals living in care facilities that cannot travel to a special needs shelter. Marc Barbiere, emergency management coordinator for Fairfax County, also noted the value in consulting with agencies like their Office of Human Rights and Equity Programs. Attention, planning and resources must also be devoted to what comes after an emergency, making sure a community can return to normal socially and economically as soon as possible. The variety of stakeholders in Florida’s Santa Rosa county which were noted earlier also engaged in long-term planning for the jurisdiction’s recovery, which included providing access to mental healthcare and providing surveillance against another outbreak. Mental healthcare and spiritual counseling are also emphasized in Fairfax County’s Pre-Disaster Recovery Plan. Efforts to strengthen administrative preparedness, community preparedness and community recovery continue to be threatened by proposed cuts to public health funding. After delays in a congressional appropriation for Zika, former director of the Center for Disease Control and Prevention (CDC) Thomas Frieden advised state and local leaders to be prepared to act during a public health emergency due to obstacles to an efficient and effective response at the federal level. 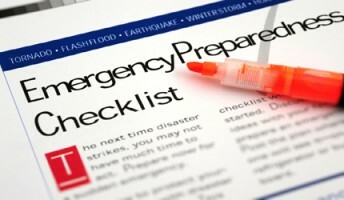 Karl Schmitt, a consultant on healthcare coalition development who follows public health emergency preparedness issues on his web site bParati.com, noted the Trump administration budget proposal for FY2018 contained substantial cuts to the PHEP program and other emergency preparedness programs. These cuts and additional restrictions threaten to undermine strides that local health departments and others have made to bolster their preparedness capabilities. PHEP funds can, among other things, be used to pay for the participation costs for the Project Public Health Ready program. Members of Congress, as Schmitt notes, have demonstrated willingness to protect funding for these programs. With other global threats like a resurgence of avian influenza on the horizon, it is important that we maintain and strengthen our defenses and our public health readiness.